Costa Diadema, the new flagship of Costa Cruises, will be christened at Genoa, Italy, Nov. 7, 2014, and Genoa and Costa are hosting an event for locals and Costa Diadema guests. Costa Diadema is set to depart from Trieste, Italy, for Genoa on its preview cruise Nov. 1, followed by the ship's inaugural cruise departing Savona, Italy, Nov. 8. Costa Diadema's christening event celebrates Costa's long-standing relationship with Genoa, where the company was founded and has its headquarters. Parent company Costa Crociere is expanding its presence in Genoa by opening new offices for about 250 employees this summer at Piazza Piccapietra, next door to its current headquarters. Costa Diadema is under construction at Fincantieri's Marghera shipyard near Venice. 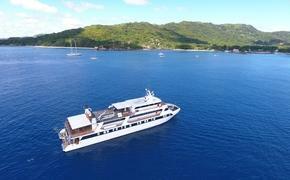 The cruise line is slated to take delivery of the ship Oct. 30. The flagship's inaugural activities are scheduled to last all month, including the preview cruise Nov. 1, the christening event Nov. 7 and three inaugural cruises departing Nov. 8, 15 and 22. The preview cruise starts Nov. 1 with an overnight at Trieste, departing at 1 p.m. the following day. Costa Diadema will call at Dubrovnik, Croatia; Corfu, Greece; Valetta, Malta; and Naples, Italy; with the cruise ending at Genoa Nov. 7 for the christening event. Following the naming ceremony, Costa Diadema departs Genoa Nov. 8 for the first in a series of three seven-day western Mediterranean inaugural cruises with stopovers at Marseille, France; Barcelona and Palma de Mallorca, Spain; and Naples and Savona, Italy. The Nov. 15 and 22 seven-day roundtrip Savona inaugural sailings include calls at Marseille, Barcelona, Palma de Mallorca, Naples and La Spezia (Florence), Italy. Beginning Nov. 29 and for the rest of the 2014-15 winter season, the new flagship departs Savona weekly on that same itinerary. 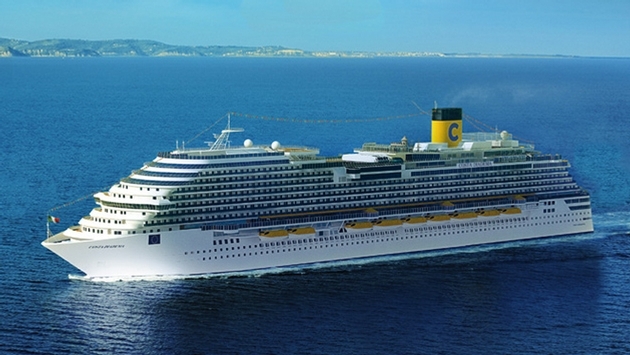 Costa Cruises has invested approximately 550 million euros in the construction of Costa Diadema, employing nearly 1,000 shipyard workers and 2,500 employees from about 400 primarily Italian suppliers. The 132,500-ton, 3,724-guest Costa Diadema will offer many innovations on board including food and wine venues Vinoteca, Birreria (beer house), Japanese Teppanyaki, Piazza Pizza and Gelateria. New entertainment offerings include Country Rock Club, featuring "classic rock" music, and the Star Laser room, offering interactive laser games including Laser Maze. Portobello Market Piazza is an 11,840-square-foot area with designer stores and retail outlets. For reservations and more information on Costa Diadema, call your travel professional or 800-GO-COSTA, visit www.costacruises.com or check out the line's Facebook page at www.facebook.com/costacruises.na.